"Our fundamental question with this study was: does fish farming conserve wild fish?" says Stefano Longo, an associate professor of sociology at North Carolina State University and first author of a paper on the work. "The answer is: not really." To determine the impact of aquaculture efforts on traditional, or "capture" fisheries, Longo and his collaborators looked at data from the World Bank and the Food and Agriculture Organization of the United Nations, from 1970 to 2014. 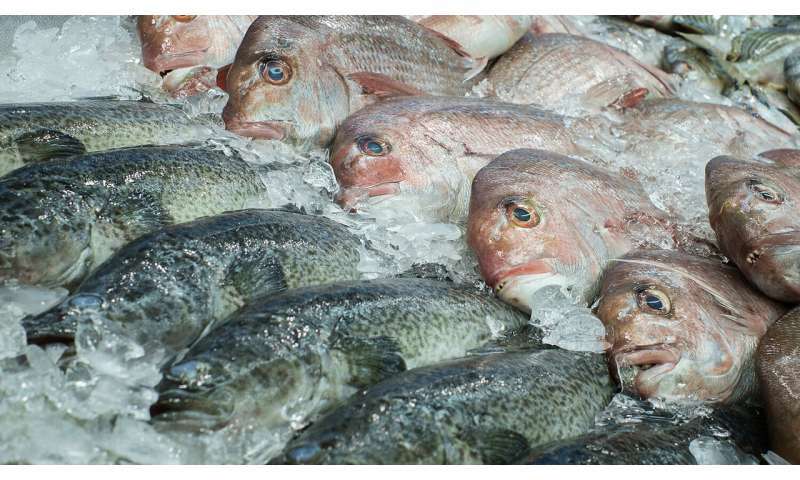 Specifically, the researchers evaluated data that shed light on changes in aquaculture and traditional fisheries, such as aquaculture production numbers and the number of fish harvested by wild fisheries. "We found that aquaculture has expanded production, but does not appear to be advancing fishery conservation," Longo says. "In fact, aquaculture may contribute to greater demand for seafood as a result of the social processes that shape production and consumption. "In other words, aquaculture is not taking the place of traditional fishing efforts, or even necessarily reducing them," Longo says. "To move things in the right direction, production of seafood in aquaculture (and fisheries) could benefit from producing species lower in the food web, such as molluscs," Longo says. "More importantly, socially prioritizing producing food (and in this case seafood protein) as a basic right to meet needs, rather than as simply another commodity in the global economy, and regulating production in an ecologically sound manner, would advance conservation goals while meeting human needs. This would require strong political-economic initiatives (policies) on national and global levels that better plan production, and implement, and enforce regulations that promote sustainability." The paper, "Aquaculture and the Displacement of Fisheries Captures," is published in the journal Conservation Biology.